The beauty of the RAT 2 lies in its versatility. Used as a primary distortion, it excels at arena rock rhythm tones and soaring leads. Do you have a powerful amp with too much headroom for the gig? 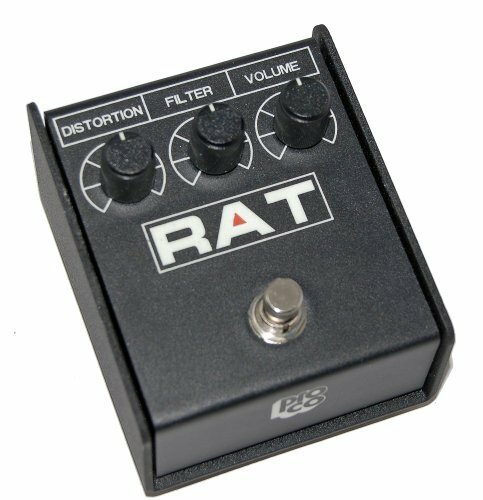 The RAT 2 nails that sweet spot where a tube amp goes from sparkly clean to warm overdrive. Maybe you already love your amp's distortion. Use the RAT 2 as a boost for solos and get the extra kick you need.For any further queries please contact Pro Co's Technical Assistance (800) 467-2726 x1206 / Customer Service (800) 467-2726 x1123 / Quality Assurance (800) 467-2726 x2306. If you have any questions about this product by Proco, contact us by completing and submitting the form below. If you are looking for a specif part number, please include it with your message.